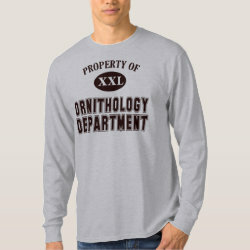 This fun design is done in collegiate athletic-wear style. 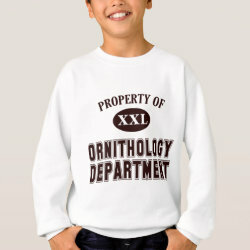 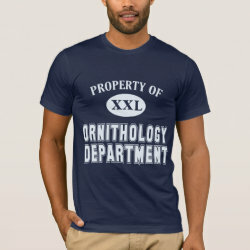 The text reads "Property of Ornithology Department." 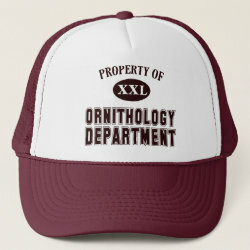 This makes a great gift idea for anyone who studies birds, for fun or in their academic career.